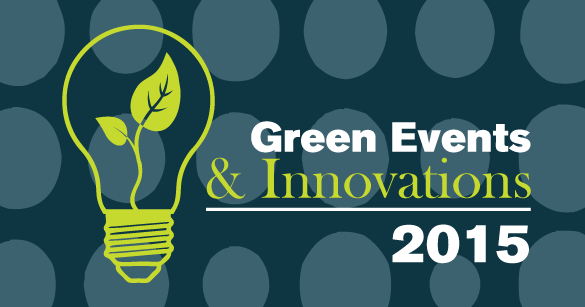 Martyn Ware of Heaven 17 and Rodney P, the 'Godfather of UK hip hop', have both been confirmed as speakers at the seventh annual edition of the Green Events and Innovations conference, which takes place at the International Live Music Conference in London on Thursday March 5th. This year the UK's leading conference on sustainable events has three key themes: Communication, Social Impact and Changing to More Sustainable Behaviours and the UK pair will be joined by Ruth Daniels from Change The Record, a project of In Place of War, who will be explaining how the scheme helps promote culture and music is some of the most under-resourced communities in the world, working where others do not. To date, the project has collected over £120,000 worth of unused musical instruments and studio equipment from the UK and use this to empower local people around the world to make their own opportunity and change. Change The Record also mobilises musicians, records albums and makes sustainable festivals in places others do not. Their current projects are in the oldest township in Zimbabwe, Makokoba; the biggest favela in Rio, Rochina; and the middle of remote jungle in DR Congo, Kisangani. Since his days in the seminal UK hip hop group London Posse, Rodney P has been widely regarded as the Godfather of British hip hop. Inspiring a whole generation of British emcees and producers by being the first to rap in his authentic London accent, he produced a homegrown hip hop/reggae vibe that is distinctly rooted in the UK. Ware is a founding member of both The Human League and Heaven 17 and has been involved in hit records including "Being Boiled" and "Temptation". Ware and Rodney P will join other speakers including Yomi Ayemi from the Burning Man festival in the USA, Rob Scully from the Glastonbury Festival, Pip Rush Jansen fro Arcadia Spectacular, Ben Hardy from Bristol Green 2015 (Europe's Green capital in 2015), Artur Mendes from Portugal's Boom Festival and Andy Fryers from the Hay Festival. The conference is organised by A Greener Festival and Bucks New University with the support of the ILMC. Other featured topics include managing and reducing waste at events, a look at how the Glastonbury Festival manages environmental sustainability, and details of a new food waste salvation project for festivals which is being launched by Fareshare South West, the Nationwide Caterers Association and A Greener Festival. Ben Challis, co-founder of A Greener Festival said: "With Live Earth 2015 proving a well timed focus on the World's response to climate change, we are delighted Martyn Ware and Rodney P can join us at Green Events and Innovations this year, to give their views on practical responses to global warming and the way forward - by promoting sustainable events and advocating sustainable lifestyles. Artists remain a vitally important part of the fight against climate change and this year the voice of music and musicians can amplify our call to protect and nurture our one and only Planet Earth"
The cost per delegate is £80 with discounts for Yourope and Association of Independent Festival members, for ILMC delegates and for students.